One of the highlights of the premier league season is always the opportunity to enjoy when Arsenal and Chelsea face off. A victory at this early stage of the tournament could have a serious moral impact, particularly for Wenger as he can potentially halt his five year winless run in the league. Here’s everything you need to know about the game. Because of injuries Arsenal will be without Aaron Ramsey and Olivier Giroud, the first one is struggling to overcome hamstring while Giroud hasn’t recovered from his toe injury, but long-term absentees Per Mertesacker, Danny Welbeck and Carl Jenkinson are still out. Which means that Alexis Sanchez is likely to start again, at center forward and Lucas Perez will be hoping to earn an opportunity to lead the line. Wenger is expected to stick with the experienced pairing of Francis Coquelin and Santi Cazorla for the high-profile test. For Chelsea it is unclear who the player alongside Luiz in central defense will be as it seems likely that he will once again start. After his double strike in the EFL Cup win over Leicester; Cesc Fabregas is pushing for a recall as he hasn’t started a match this season. John Terry is recovering from an ankle injury sustained in an away draw to Swansea and faces a late fitness test before his availability is confirming. They will hope to have John Terry back after he missed the defeat to Liverpool last week with an ankle injury. Van Ginkel and Zouma remain absent. 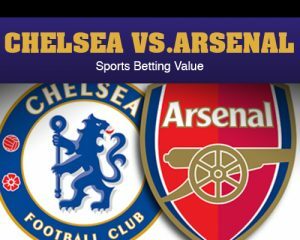 There is always plenty to talk about when Arsenal and Chelsea meet, here are some interesting stats you may find useful. Arsenal has never won any of their last nine Premier League meetings with Chelsea, last beating them in October 2011. Only against Liverpool have they had a longer such run in the competition (12 between 1994 and 2000). Arsenal have failed to score in their last six Premier League games against Chelsea. Chelsea haven’t lost any of their last five league visits to the Emirates (W2 D3) since a 1-3 loss in December 2010. Chelsea has won more league games at the Emirates Stadium than any other away side (4). Arsenal are winless in their last eight Premier League games in which Michael Oliver was referee (D5 L3), while Chelsea are unbeaten in 13 with Oliver officiating (W7 D6).